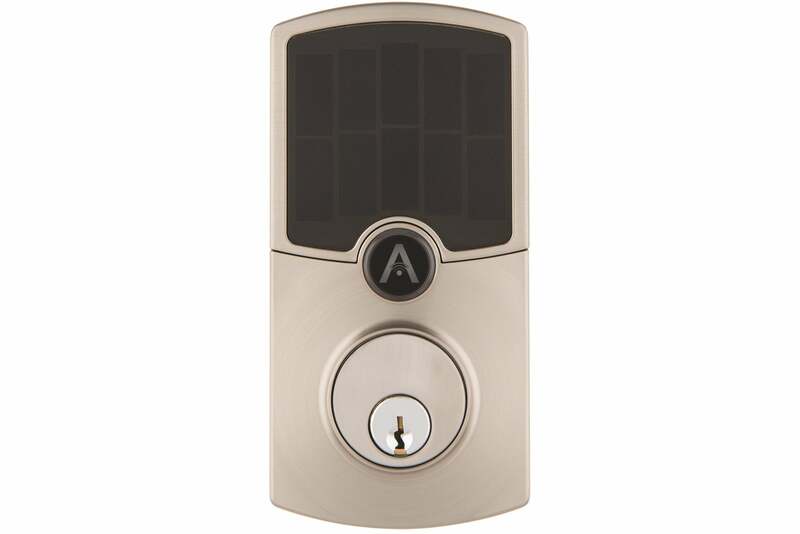 A solar panel in this premium-priced, Wi-Fi-connected deadbolt continuously charges its battery. The vast majority of smart deadbolts rely on low-power Bluetooth, ZigBee, or Z-Wave radios because Wi-Fi radios are battery killers. The new Array by Hampton smart lock looks to defy that trend with an ingenious solution: An integrated solar panel that continuously trickle-charges its onboard battery. Connecting to your smart home via Wi-Fi enables the Array to avoid a requirement that all other smart locks have: a hub or a bridge. Instead, all you’ll need for Hampton’s smart lock is a wireless router. Hampton says the lock—first announced at CES in January—requires only one to two hours of direct sunlight a day to offset the lock’s energy consumption from locking/unlocking and Wi-Fi communication. The company says its 5,200mAh lithium polymer battery should last around 10 months on a charge when the lock’s solar panel is exposed to direct sunlight, and from 30 to 90 days between charges in installations where the lock is exposed only to indirect sunlight. The Array can also be opened with a conventional key, so you shouldn’t have to worry about being locked out due to a dead battery. And to make that possibility even more remote, Hampton includes a second battery and a USB charging cradle that can recharge a depleted battery in about three hours. 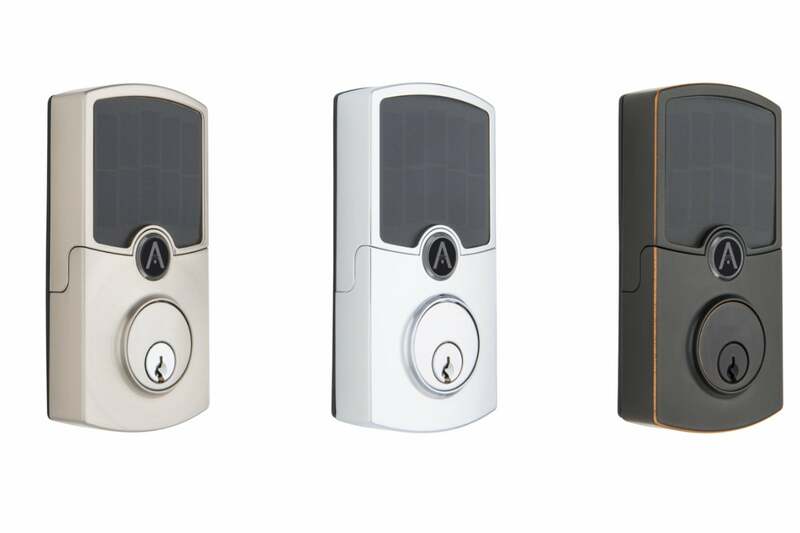 The Array by Hampton Connected Door Lock will be available in two styles and three finishes. The $299 price tag Hampton is putting on the Array makes it one of the most expensive smart locks on the market. The company justifies the price tag with the inclusion of the solar panel, the second battery, the battery charger, and the fact that you don’t need a hub. Eliminating those first three items is indeed a big deal, but the last justification is of value only if you don’t already have a smart home system. It looks as though the Array won’t be compatible with any current smart home systems right out of the gate. Sliding the Array’s solar panel up reveals a 10-key pad fabricated from metal—a distinct departure from the more typical rubber buttons and touchscreens we’ve seen on other smart locks. The keypad buttons are backlit by blue LEDs. Homeowners will be able create both E-codes and E-keys. The Array will also come with Android and iOS apps that can be used to lock and unlock it. The app also reports the lock’s remaining battery life when you log in, and it will send you an alert when battery life drops to 15 percent. 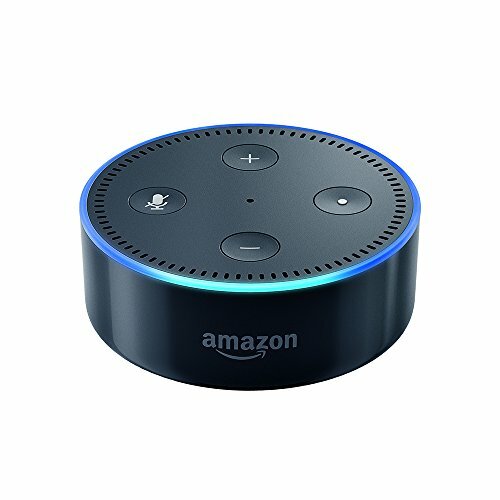 The Array supports Amazon Alexa, so you can use voice commands to query the lock’s status—locked or unlocked—and you can lock it with a voice prompt if it’s not already locked. Hampton CEO Kim Kelley said Hampton is in the process of also certifying the lock for use with Google Home: “We’re expecting to get [Google Home] certification between now and Christmas.” The company is also working on Apple HomeKit compatibility. Sliding the solar panel up exposes the smart lock’s numeric keypad. Kelley said Hampton made a conscious decision to not allow users to unlock the lock with a voice command. “We don’t want somebody to be able to open the front door verbally by yelling through the window, having overheard the code from the kids or whatever,” Kelley said. Pairing the Array smart lock with one of Hampton’s “Push Pull Rotate” door handles, marketed under the Brinks brand, will make opening a door an entirely hands-free operation. That’s because the Brinks PPR locks can be opened three ways: You can push on the entry handle, pull on it, or rotate it. So if you enable geofencing on the Array to unlock when you arrive home, you need only push on the door knob to gain entry. 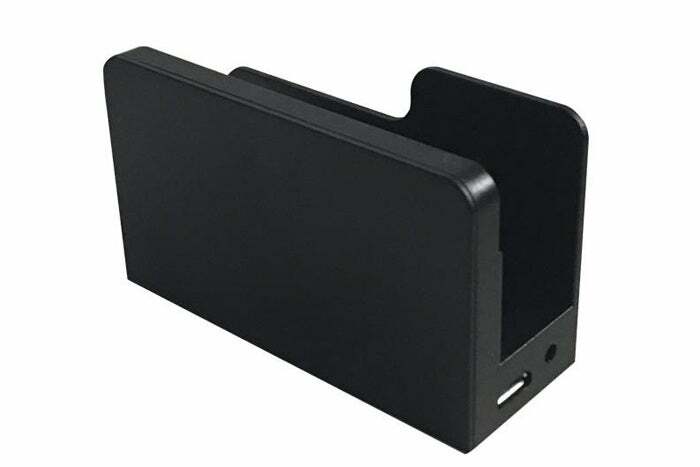 Homeowners can keep a second lithium-polymer battery, provided, charged up in this cradle. Hampton is also working on an array of other home products that will tie into the Array’s app, including security lights with integrated cameras, motion sensors, microphones, speakers, photo cells, and alarms. Look at that one way and Hampton is way behind companies such as Ring and Kuna, which have had security cam/lighting combos on the market for some time. Look at it another way, and it’s companies like Ring and Kuna that are behind, because their products don’t tie into smart locks (Ring does have an Alarm system, though). The Array by Hampton Connected Door Lock (Cooper style with a satin nickel finish). In this case, Kelley said, the app will stream live video from the coach-light camera in one window and display the Array smart-lock’s controls in another on the same screen, so that you can verify the identity of the person on your doorstep—and speak with them—before deciding if you should remotely unlock the door to let them in. Hampton is also developing a second, lower-cost version of the Array that will omit the solar panel, for installations such as an interior garage door that won’t get sunlight anyway. Being a privately held company, it’s difficult to say how long it will take Hampton to build out such an ambitious universe of products, but we’re expecting to get the Array smart lock in for review soon. 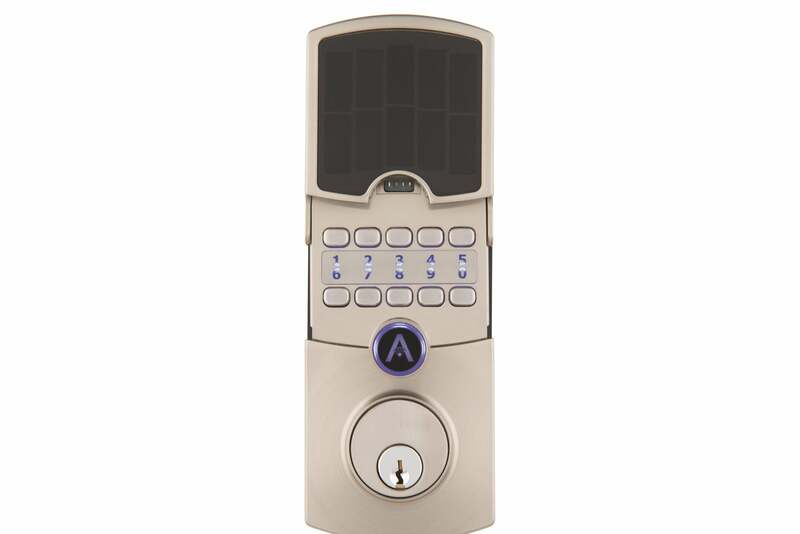 The Array by Hampton Connected Door Lock should be available soon at select ACE Hardware stores and online at acehardware.com and arraylock.com. 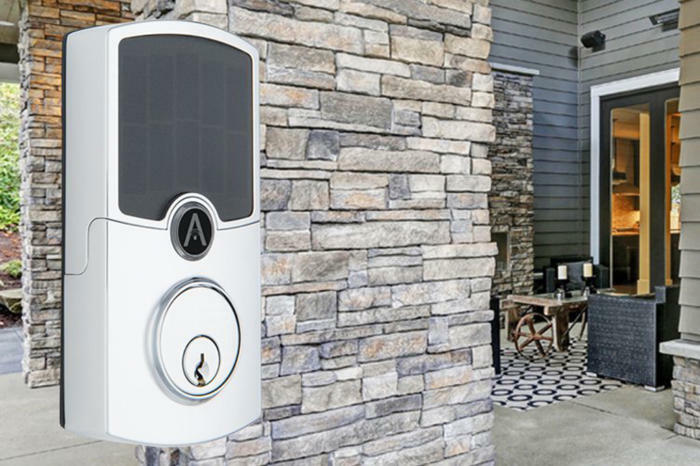 This story, "The Array by Hampton Connected Door Lock operates on Wi-Fi and is powered by the sun" was originally published by TechHive.